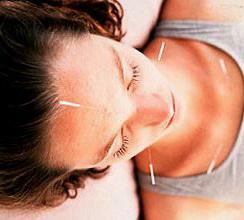 Acupuncture - one of the most effective and well-known treatments of Oriental Medicine. The therapeutic effect of acupuncture treatment is achieved by the introduction of special needles to acupuncture points on the body surface. Acupuncturist treats various diseases of the internal organs by acting on specific points on the skin. The procedure he spends with needles for acupuncture. Usually, a doctor or a neurologist neurologist, who passed some training. It is desirable to seek a specialist consultation general practitioner, who will say whether it is possible to carry out the procedure. Acupuncture prescribe virtually in all diseases are in remission. This procedure is prohibited at cancer, tuberculosis, pregnancy, inflammatory diseases, that are in the acute stage, and the temperature is high. Acupuncture can be combined with conventional treatments, but can also be used independently. When Visiting of the doctor should have the results of analyzes, confirming the absence of transmitted diseases by transmissible way. Also, do not forget about these test results to the treatment. 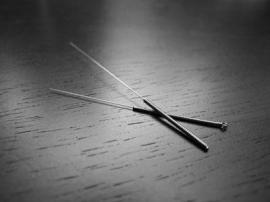 How Does Acupuncture Help With Aches and Discomfort?